Childhood is the most critical part of a person's life, it makes or breaks him or her. This is the time when we are most receptive to ideas and suggestions yet it is the time when one is most vulnerable and prone to be abused, often by people we trust. Saheli works towards making childhood safe and secure for our children by senstizing them and their parents to various dangers, which children face. We also work by senstizing older children towards issues like Domestic Violence and Gender discrimination and also on the importance of Right To Information Act, 2005. We conduct workshops on regular basis, primarily in government schools and in schools with children from lower socio economic status, because they are the ones who need us, the most. 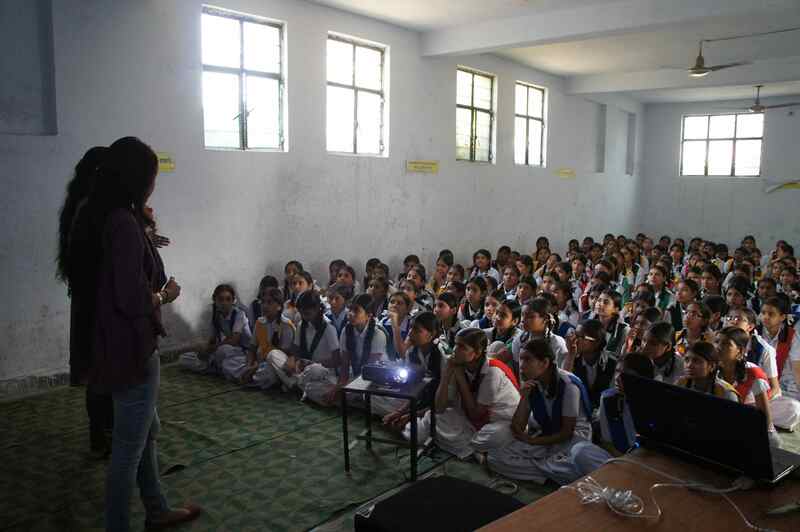 We hold interactive sessions, primarily for girls and give them our contact details, with instructions on what to do when they face common stressful situations and how to contact us in an emergency.